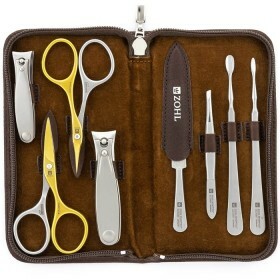 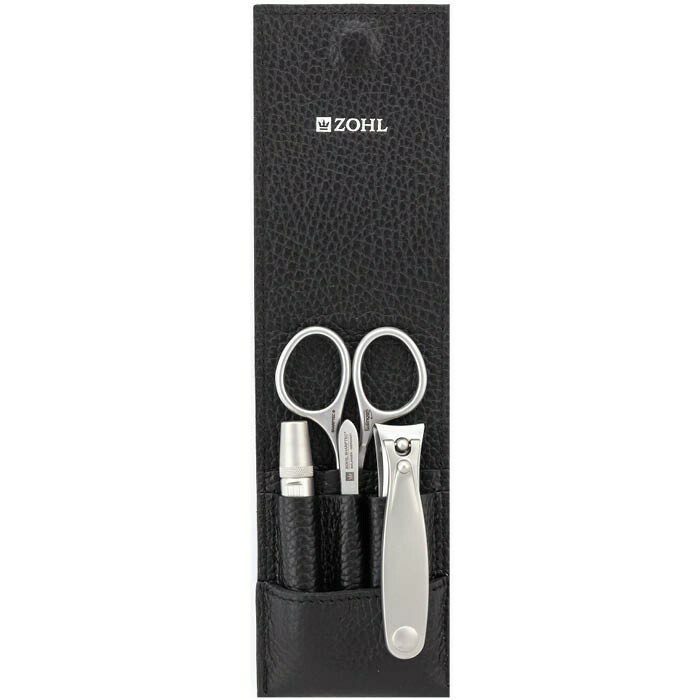 Luxury mens grooming set Magneto by ZOHL offers the highest quality German nail instruments for mens manicure and pedicure, professional tweezers and innovative Klipser for gentle removal of nostril hair. 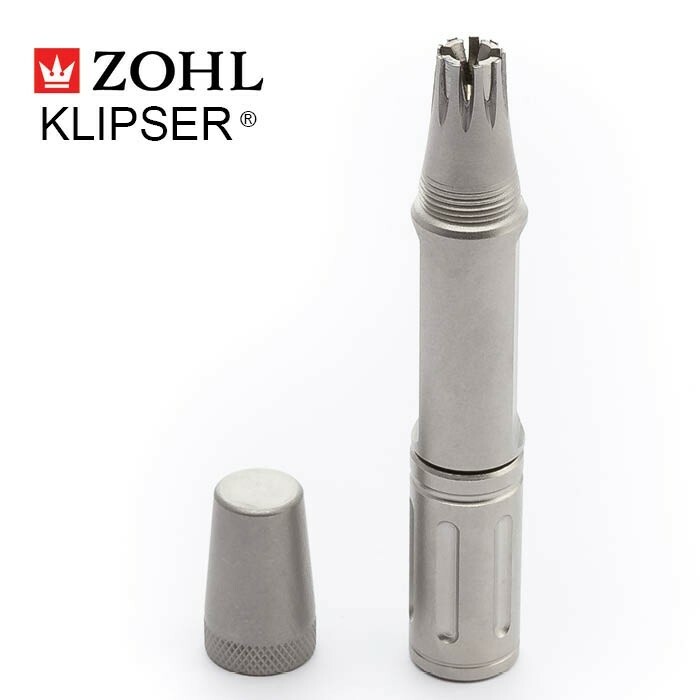 Precision-built tools are made of professional stainless steel and expertly crafted to give you decades of excellent service, without any trouble of sharpening or repair. 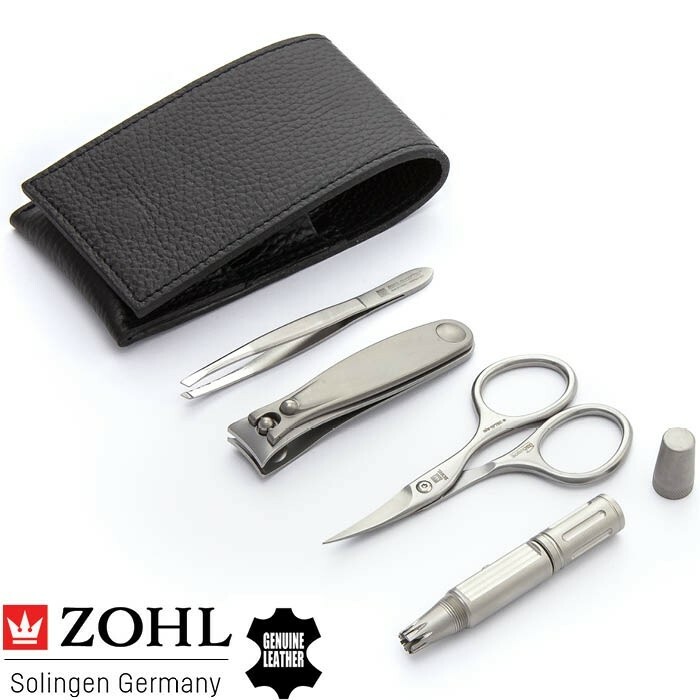 Complete with 4 essential mens grooming tools, the Magneto includes manually operated trimmer of facial hair, surgical steel fingernail scissors, large Solingen nail clippers and slant eyebrow tweezers. 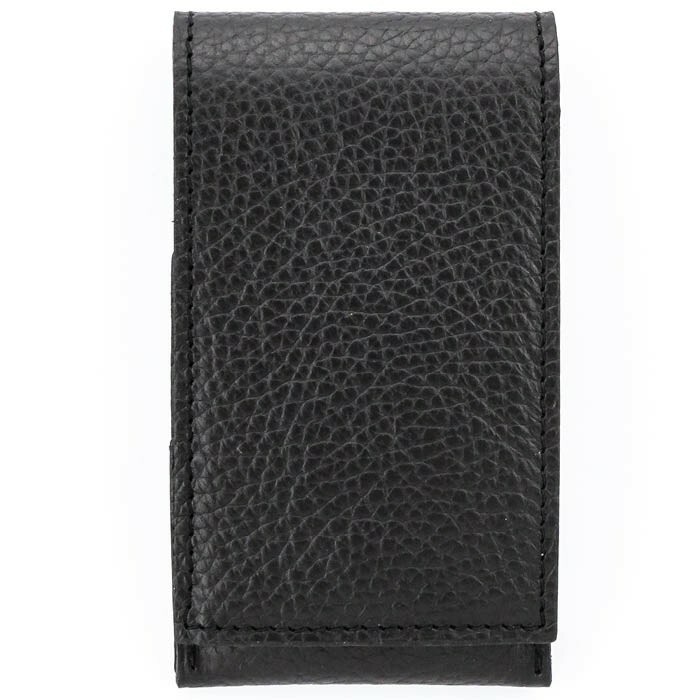 Premium leather case handsomely nestles the instruments in individual pockets for extra protection and secures with sturdy magnetic closure, making the Magneto a unique and ever-welcome gift for men on any occasion: Christmas, Birthday or Father's Day, where Top Quality is on offer. 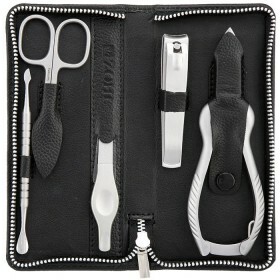 Magneto is the highest quality grooming kit for men who trust only the best tools close to their skin. 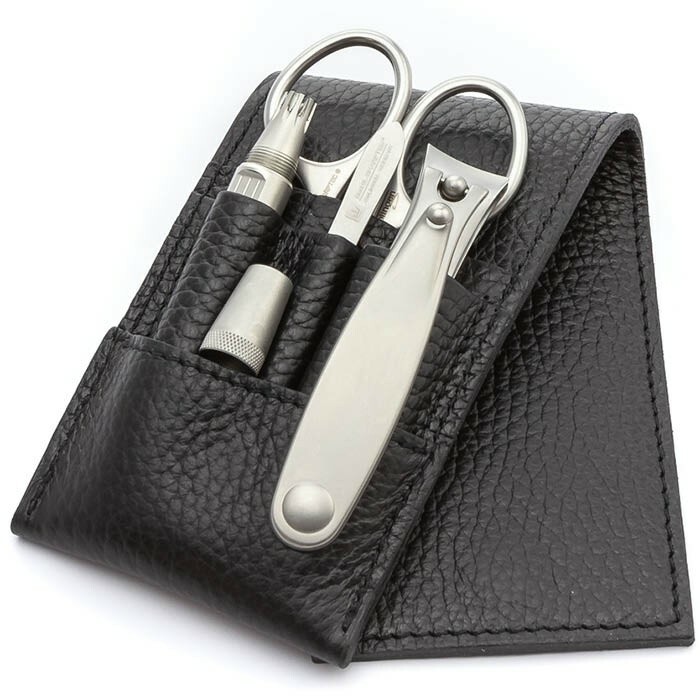 Its luxury magnetic leather case, lined with premium cowhide, unveils mens favourite grooming essentials guaranteed to last for many years – the feature only the best grooming tools for men can boast. 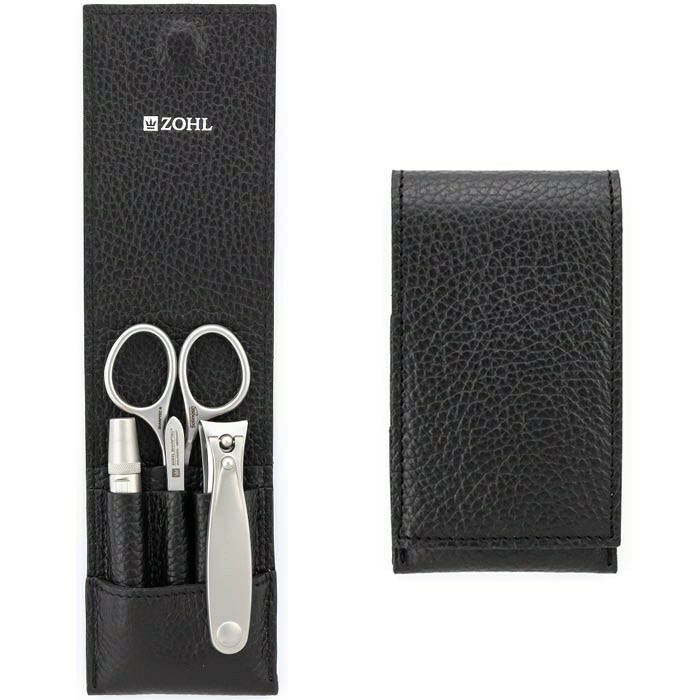 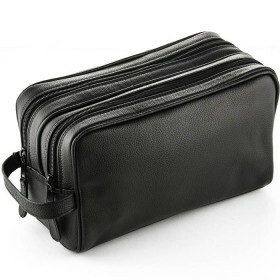 Lightweight and compact, it is a stunning gift for a frequent traveller who does not compromise his travel grooming to inferior quality. 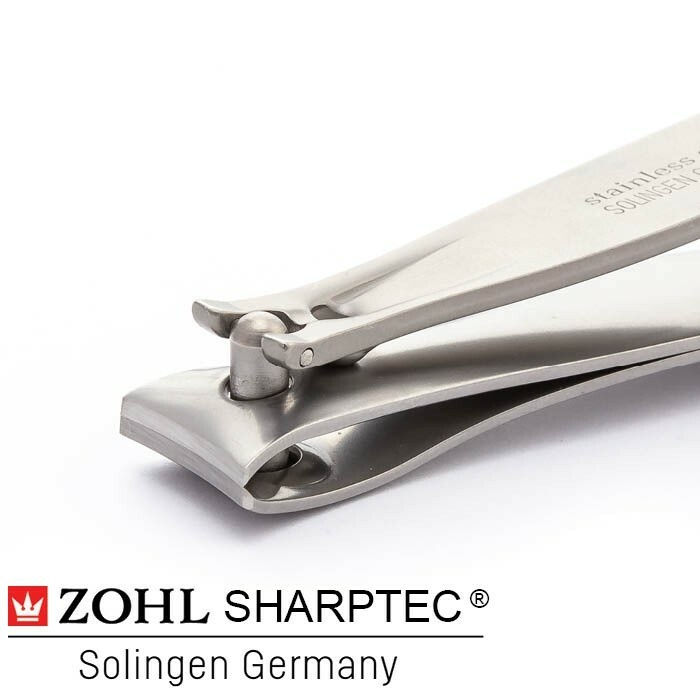 Crafted from professional stainless steel, SHARPtec instruments delight with reliable, long lasting and exceptional service. 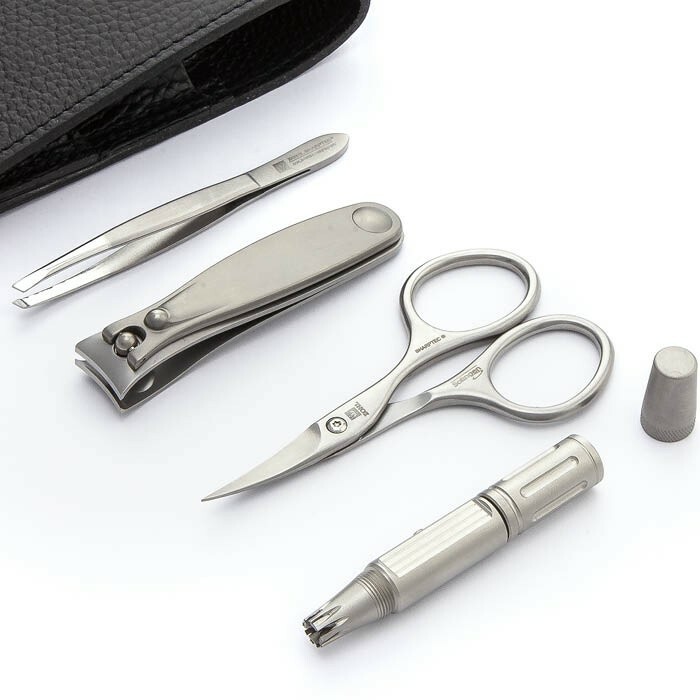 Whether it's male manicure, pedicure or maintenance of facial hair, the Magneto is the perfect choice to enjoy as a reliable travel grooming set or at-home grooming companion. 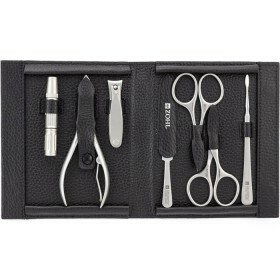 Professional Eyebrow Tweezers (9 cm) - high precision tweezers for effective removal of unwanted bodily or facial hairs.